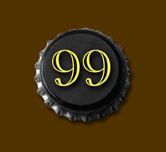 May 27, 2008 – “99 Bottles Documentary” began over a pint at Wolski’s Tavern. Producers Glen Popple and David Oplinger, in partnership with director Jason Williams, decided that a documentary about the local craft breweries would quench a parched public of their thirst for answers to the burning questions about the beer they love. “It was a great excuse to have a beer and reminisce about the origins of Ale Asylum, and was the most legal fun we have had with our pants on,” said Otto Dilba of Ale Asylum. Over the course of their travels, one common theme is emerging: “free beer” is not free. With the single-minded purpose of a master chef, the men and women that bring you pint after refreshing pint strive to survive ever-toughening legislation, world-wide resource shortages, and an ever-growing public demand for excellence in their product. With the centuries-old brewing traditions of the European families who settled the Midwest, it seemed only fitting that the trials and successes of their descendants should be explored. The rigors of this emerging market, the time-honored traditions that they uphold, and the daily regiment of sweat equity necessary to meet the bottom line make for a fascinating exposé into one of Wisconsin’s worst kept secrets: beer. Mutant Barmonkey Productions, LLC, based in Milwaukee, WI. The president and owner of the company is Glen Popple. In 2007, the feature-length production, “Port of Call,” was shot and is currently in post production. David Oplinger is a freelance producer based out of Milwaukee, WI. Haptic Vision is a production company in Wisconsin founded by director/producer Jason Williams. Previous credits include numerous short film festival selections and awards.